The Holidays are Over-Now What? The Holidays are over which means the hustle and bustle is slowly coming to an end and we finally get a few moments to kick back, relax and take a few much needed deep breaths. While we may love the Holidays and all the wonders they bring, the season can often leave us physically and mentally exhausted and ready for a break once January 1st finally arrives. Between Thanksgiving, Black Friday, Christmas Eve, Christmas, New Years Eve and New Years Day, the list seems to never end. Cramming so much into only a few months makes for a quite a chaotic and often stressful experience. While we still enjoy the Holidays and look forward to them each year, the break is definitely needed. So now that the chaos is over, we are left with one simple question; now what? As we start to unwind and relax after the first week of normalcy we might find ourselves getting a little restless. Going from a million miles a minute to a regular day-to-day life seemingly overnight can be quite a shock to our system. While it may be harder to find a fun excursion or event to attend in smaller towns, if you are in the Orlando and Clermont area, there is always something new and exciting to find. With so many local shops, restaurants, concerts and more, there is truly something for everyone to enjoy. So to answer your question, what’s next is the beautiful and entertaining Cirque Zuma Zuma. Cirque Zuma Zuma will be coming to the Clermont Preforming Arts Center on February 4th from 4-7pm. While you’ll have to be a little patient for the show to arrive, it will make for a breathtaking experience you won’t be able to forget. With African inspirations, performances from 16 different African nations will amaze you with music, dance and ritual, what some call mind magic, and a show filled with mysticism and excitement. Leaving audiences amazed you will get a small glimpse at many cultural traditions local to the African countries, male, female and children dancers and vocalists, gumboot dancers, sky high pole acts, hysterical comedy, foot-table juggling, mind-blowing contortionists, beautiful percussionists, Gabonese tumblers, and all the Zuma Zuma Acrobats will be entertaining you during this breathtaking performance. Take a leap to your wild side and get your tickets before they are sold out. Bring a friend, family member or co-worker and enjoy the beauty and mystery that Cirque Zuma Zuma has to offer. While we don’t want the business of the Holidays to come back, the entertainment offered by the performance of Cirque Zuma Zuma is a welcomed experience for those of us who are chomping at the bit to get out there and not only do something fun, but try something new. 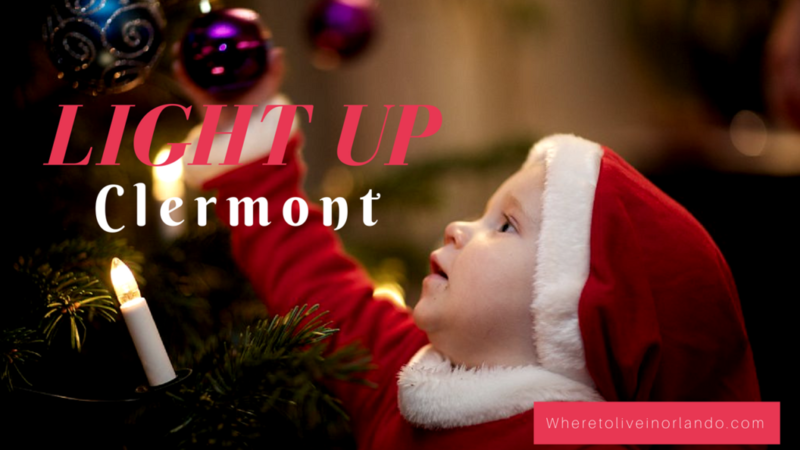 Don’t let the after Holiday slump get you down and enjoy everything your incredible city of Clermont has to offer. With new events and shows visiting the town monthly, there is always something new to experience. Until the Holidays visit us again, enjoy your show of Cirque Zuma Zuma. It wouldn’t be Christmas in Clermont without the annual Light Up Clermont Festival to kick off December. This annual two-day festival is a long honored and anticipated part of the holiday season in Clermont. 2016 marks the 29th annual Light Up Clermont Festival. All activities are free admission and family-friendly. Friday night December 2nd the festival kicks off in City Hall Park on Montrose and 7th. The Clermont Friday food trucks are open beginning at 5:30 pm so come grab some of the best bites around before the tree lighting. At 6:30 on Friday night is the Annual Tree Lighting Ceremony. This is one of the newer traditions of the festival. This will be the third year of tree lighting in Clermont. A huge tree is brought in and decorated with lights and a star and officially lit up for the season to usher in the Christmas Cheer. At this time the whole downtown area will light up with animated light sculptures around the lake as well.Following the tree lighting, there will be live holiday music on the main stage in the park. Ready to let loose and enjoy the weekend? Come to Montrose and 8th St. to dance the night away with a DJ on the Community Stage. Take those cute kids of yours to get their picture taken with Santa and Mrs. Claus. They will be hanging out across the street from the tree lighting at Clermont City Center located at 620 West Montrose St. from 7 to 9 pm on Friday. Saturday there will be more live music and entertainment from 10am to 2:30 pm at City Hall Park. You can also check out the crafts fair and food vendors on Montrose and 8th from 10am to 3pm. Saturday afternoon at 1 o’clock is the much loved Holiday Parade. There will be decorative floats, bands, dance troops, and more all leading up to the arrival of the big guy, Santa and of course his lovely wife Mrs. Claus. Photos are courtesy of the Kiwanis of South Lake. To finish off the weekend festivities is the annual Lessons and Carols Concert at the Clermont Performing Arts Center located at 3700 South Highway 27. There will be two shows, one at 5pm and one at 8pm. Clermont is a great place to live especially during the holidays. For more information on living in Clermont or real estate in Clermont and surrounding areas please browse our website or contact us anytime. Even though back to school ads are all over the the television, there is still a bit of summer left. 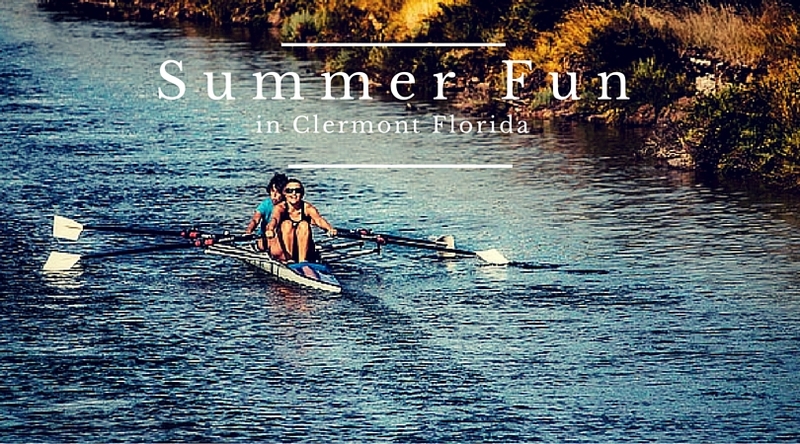 Make the most of your days and enjoy some of the fun events going on in Clermont in July and August. For three weeks on Tuesdays, Thursdays, and Fridays from 4:15 to 6:15 middle school age students can learn to row. Lessons take place at the Clermont Boathouse located at 1050 Lake Minneola Drive. Though the Farmer’s Market runs all year there are always new vendors coming and going. Check back often to discover the new goods or visit a favorite regular vendor. A great place to buy fresh local eats and handmade wares or just catch up with friends. The Farmer’s Market is open every Sunday except for holidays from 9am-2pm at Clermont Historic Village. The Presidents Hall of Fame is a fun replica of the White House that has brought America’s history to life in a fun miniature version of the White House. All through the month of July you can celebrate Independence Day with the Signing of the Declaration of Independence. Tickets are around $15 and this is a notable favorite on trip advisor. The Clermont Police Department will be hosting National Night out on Tuesday August 2 from 5 to 8pm at Waterfront Park. This is a free annual event joining in with law-enforcement agencies all around the country with a goal of promoting police-community partnerships and crime prevention. This year’s event will include free food, dunk tank, a wide range of kid focused activities, Star Wars characters, and emergency vehicles on display including fire trucks, patrol cars,tactical vehicles, and motorcycles. This is a monthly event in Clermont where you can come enjoy a variety of great Food Truck eats, vendors, downtown shops open late until 9pm and live music. The event has become so popular that trucks are competing for space to participate in this event. 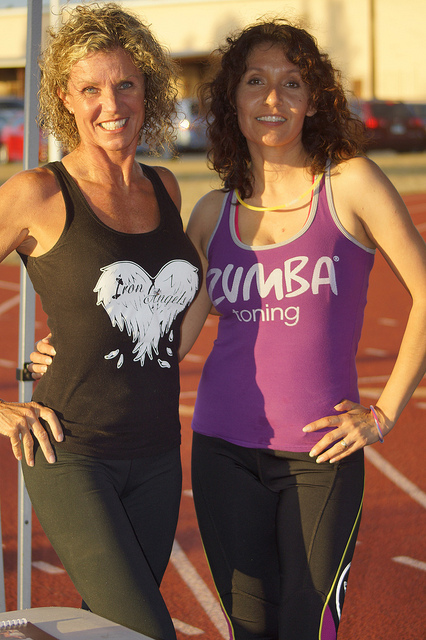 This fun sporty event is put on by Sommer Sports celebrating peace, love, and happiness. 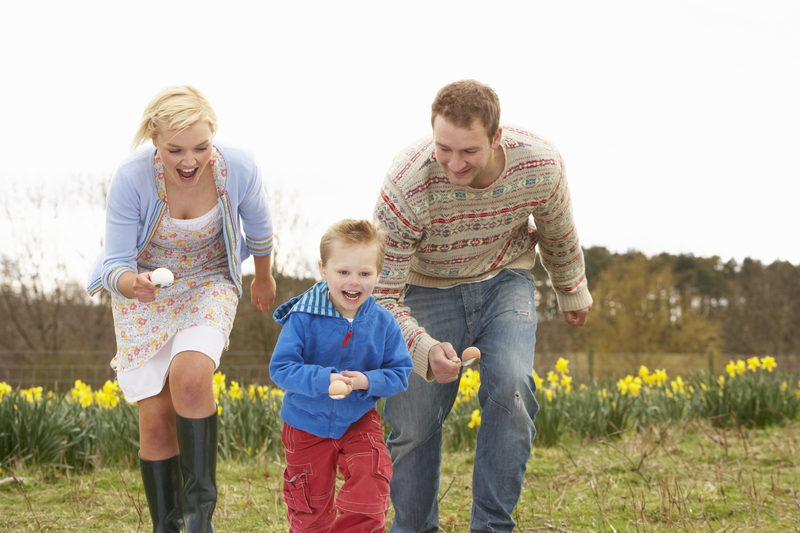 Sommer Sports aims to create fun events you can include the whole family in. Every participant receives a t-shirt and every finisher receives a die-cast medal. After the race stick around for entertainment and food. Choose between a triathlon and a duathlon. Check this link for official start times and other information. For more information on Central Florida Lakefront Communities and property management please feel free to browse our blog and website or contact me at anytime. 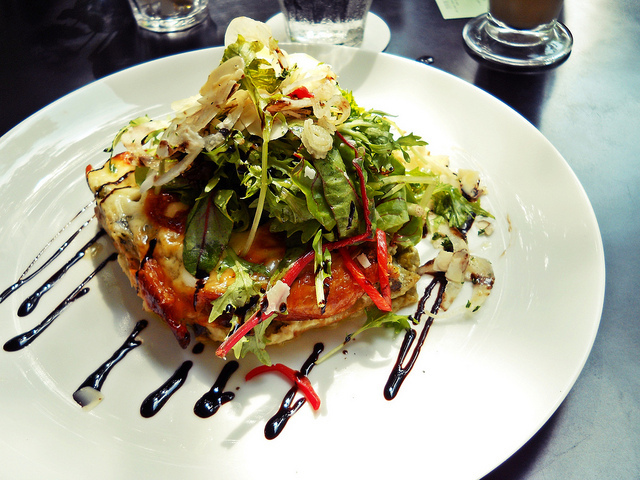 Located at 618 N Thornton Ave in Orlando is this 4.5 star rated cafe that serves yummy clean and local food. They are Certified Green by Green America for their highly sustainable practices. 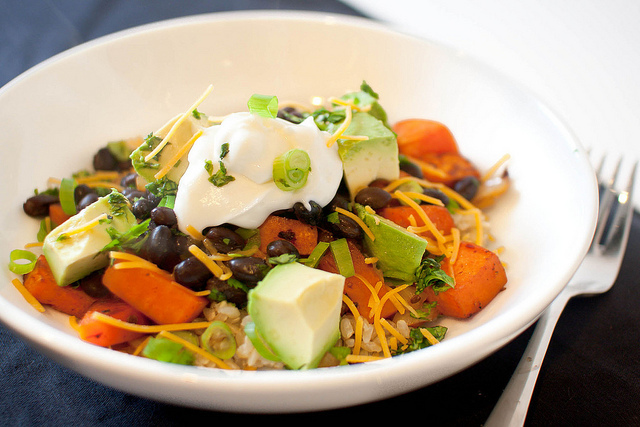 While you’re there, you must try the sweet potato bowls with cilantro dressing, hummus, fluffernutter sandwiches, and a variety of to-order teas. Mmm mmm good! Located at 4200 Conroy Rd in Orlando is Maoz where flavors come alive in your mouth. It’s in a food court at the mall, but, foodies- just step up to the plate and give it a chance! Tasting is believing! Come on down to 3405 Edgewater Dr in Orlando for this 4 star shop where there are tons of options including beef, chicken, pork, fish, lamb, and steak substitutes which are so good they could fool even the most stubborn of carnivores. This four star restaurant located at 3022 Corrine Dr in Orlando is a bike-friendly, coffee-loving, vegetarian-happy café that is simply every hipster’s dream. However, the deal sealer is what you won’t be able to find probably anywhere else: vegetarian cheesesteaks. You’re welcome. This place is rated 4.5 stars and you’ll find it at 7048 International Dr in Orlando. This place is so good, it’s the perfect place for first timers to Ethiopian cuisine! And, if you’re already a fan, then here’s your new favorite place to get it. You’ll want to order the chef’s combo and chase it down with one of their yummy honey wines. Green Kitchen can be found at 7055 S Kirkman Rd in Orlando. Rated four stars, you’ll see why this place is so fabulous with with delicious and fresh food that includes gluten-free, lactose-free, vegetarian, and vegan options. Dietary restrictions are not a problem here! Come to Pom Pom’s Teahouse at 67 N Bumby Ave in Orlando. You’ll see why they’re rated 4.5 stars, when you bring even your meat-eating friends and they leave full and happy. Skyebird is located at 3201 Corrine Dr in Orlando and is rated 4.5 stars. They have an unbelievable selection of fresh-pressed juices that will convince you that it’s way more than just a passing trend. They also have a mind boggling selection of delicious takes on super healthy snacks like kale chips that come in flavors like coconut curry and pizza. Yum! 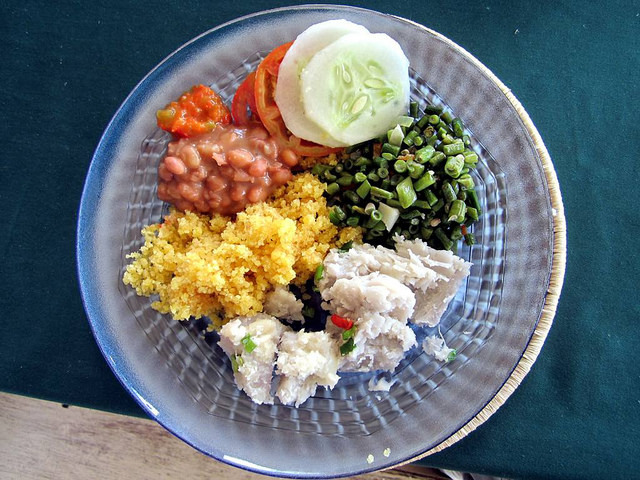 Come to 1216 E Colonial Drive #11 in Orlando and experience AFFORDABLE veggie cuisine! The food here is healthy, delicious, and inexpensive. You can load up on fresh summer rolls and pho with veggies and tofu for under $12. Want to know more about living in Orlando? Check out this blog!